Mouth canker sores treatment is actually a misnomer because there is nothing much that can be done to completely heal the sores. But there’s still hope – you can successfully reduce the pain and discomfort that the sores cause. When left alone, a canker sore will stop hurting after a few days and gradually disappear. However, it can be quite painful during the initial stages and you could try a few of these remedies to find some relief. 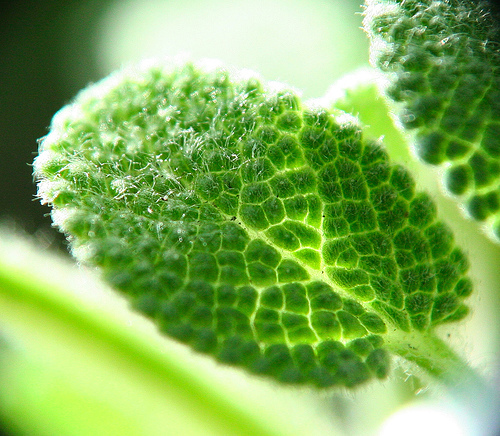 Preparing a mouthwash with herbs like sage is effective for canker sores treatment. Ice has the capacity to numb the sensation of pain and reduce the inflammation, and this is what makes it the first line of treatment in any form of injury. When it comes to canker sores treatment, ice can help reduce the pain, although temporarily. Place an ice cube within your mouth, in contact with the sore, for pain relief. If this is not comfortable, try rinsing your mouth with water that is ice-cold instead. Check if your local pharmacist has any OTC products that can help you overcome the pain of canker sores. But do this once you’ve consulted your physician, so that you choose the right products for quick recovery. Some antiseptic creams, mouthwashes, or lozenges that contain antibacterial compounds or a mild local anesthetic like Xylocaine or Benzocaine may help reduce the pain and prevent the sore from getting infected further. Certain herbs such as sage and aloe have curative properties that help with canker sores treatment. Wash a few leaves of the aloe plant and draw out the juice from the inner, succulent part of the leaf. Apply this juice very gently on the canker sore using a cotton swab three to four times in a day and you will find some relief. Crush sage leaves and apply the powder or the paste directly over the sore. You can also keep sage leaves in boiling water for 15 minutes and use this liquid as a mouth rinse a few times during the day. Another option would be to prepare a mouth rinse with a teaspoon each of baking soda and table salt combined, and 2 ounces of hydrogen peroxide. Most homes have Milk of Magnesia (serves as an antacid) and the cough syrup Benadryl. Mix these in equal quantities and using a small piece of cotton, apply the mixture on each sore. The ingredients present in the antacid will help in keeping the sores wet and this reduces the discomfort caused by their drying out. The Benadryl also helps numb the sensation of pain. However, it is vital that you do not allow the liquid to drain down into the throat, because this could numb the reflexes of the windpipe. What If These Canker Sores Treatment Options Don’t Work? Despite these measures for canker sores treatment, if you don’t find any relief or only find the sores persisting beyond a week with no reduction in their intensity, it is time to see a dentist. Sometimes, a person may have a lesion in the mouth that looks like a canker sore but does not hurt, but this could be indicative of some other serious problem such as oral cancer. Regardless of whether your sores hurt or not, if they persist beyond a few days, it is best to consult a qualified health professional who can clarify the cause of the sores and prescribe the right drugs for canker sores treatment.